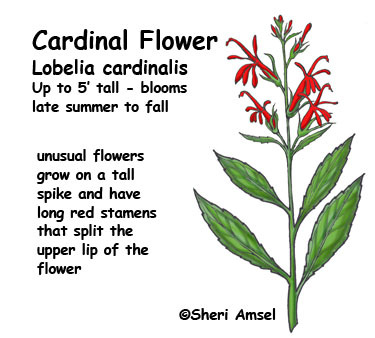 They bloom in late summer to fall along streams, on the edge of wetlands and in wet fields. 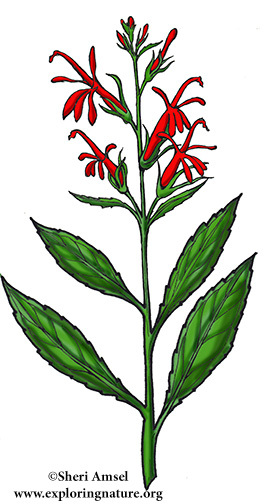 They can grow more than 3’ high with a long spike of bright scarlet flowers. The unusual flowers grow on a tall spike and have long red stamens that split the upper lip of the flower.